Clarksville, TN – On January 26th, 2018 – January 27th, 2018 between the hours of 8:00pm and 4:00am, the Clarksville Police Department, Tennessee Highway Patrol and Montgomery County Sheriff’s Office conducted a DUI checkpoint and saturation patrols to find and remove impaired drivers from the streets of Clarksville. During this time, there were 169 charges issued. 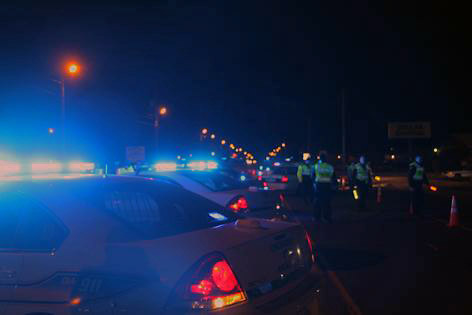 Clarksville, TN – On Friday, April 7th through Saturday, April 8th, 2017 between the hours of 8:00pm and 4:00am, the Clarksville Police Department and Tennessee Highway Patrol conducted a DUI Checkpoint and saturation patrol to find and remove impaired drivers from the streets of Clarksville. During this time, there were 97 vehicles stopped and 149 individuals charged. Clarksville, TN – The Clarksville Police Department conducted checkpoint and impaired saturation patrols on May 20th and May 21st, 2016, which was partially funded by the Governor’s Highway Safety Office. Total number of vehicles through the Checkpoint (US 41-A & State line) from May 20th, 2016 11:00pm to May 21st, 2016 1:00am were 437. During this time, there were 234 vehicles stopped and 237 individuals charged. Clarksville, TN – The Clarksville Police Department conducted impaired saturation patrols on September 4th and September 5th, which was partially funded by the Governor’s Highway Safety Office. During this time, there were 162 vehicles stopped and 145 individuals charged. Clarksville, TN – The Clarksville Police Department conducted impaired saturation patrol and a seat belt checkpoint on June 5th, which was partially funded by the Governor’s Highway Safety Office. During this time, there were 99 vehicles stopped and 96 individuals charged. Clarksville, TN – The Clarksville Police Department conducted impaired saturation patrols on May 22nd and May 23rd, which was partially funded by the Governor’s Highway Safety Office. During this time, there were 147 vehicles stopped and 138 individuals charged. 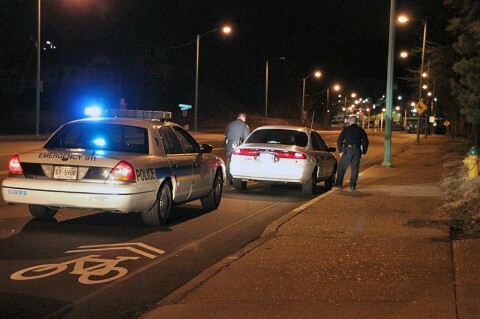 Clarksville, TN – The Clarksville Police Department conducted impaired saturation patrols on April 24th and April 25th, which was partially funded by the Governor’s Highway Safety Office. During this time, there were 166 vehicles stopped and 150 individuals charged. Clarksville, TN – The Clarksville Police Department conducted impaired saturation patrols on March 27th and March 28th, which was partially funded by the Governor’s Highway Safety Office. During this time, there were 242 vehicles stopped and 227 individuals charged. Clarksville, TN – The Clarksville Police Department conducted impaired saturation patrols on July 18th and 19th, which was partially funded by the Governor’s Highway Safety Office. During this time, there were 136 vehicles stopped and 102 individuals charged. Clarksville, TN – The Clarksville Police Department conducted impaired saturation patrols on July 4th and 5th, which was partially funded by the Governor’s Highway Safety Office. During this time, there were 194 vehicles stopped and 181 individuals charged.